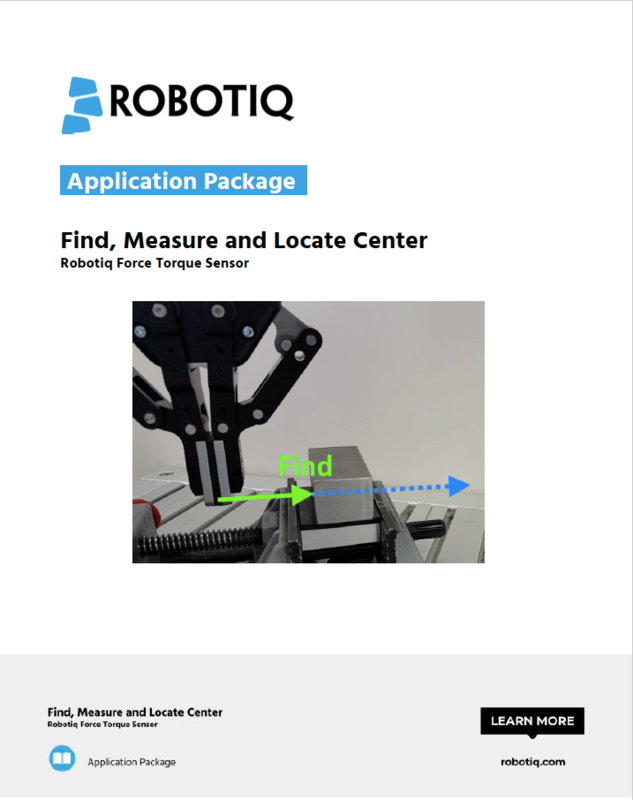 The Find, Measure and Locate Center application package allows you to perform search instructions in the X, Y or Z axis of the tool to locate parts. The high sensitivity of the Force Torque Sensor allows for a gentle contact between the tool and the part. In addition, this application package gives you the capacity to measure an object by using the Find function on both sides of it.